A fantastic multilanguage tool now allows you to manage one website in many languages. 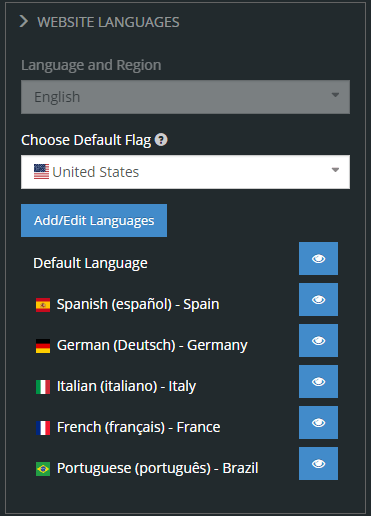 Create your default language website and let the system auto-translate it for you to other languages, with the option to set specific flag Icon and language name to each. Более 1940 веб-сайтов SITE123, созданных в US сегодня!